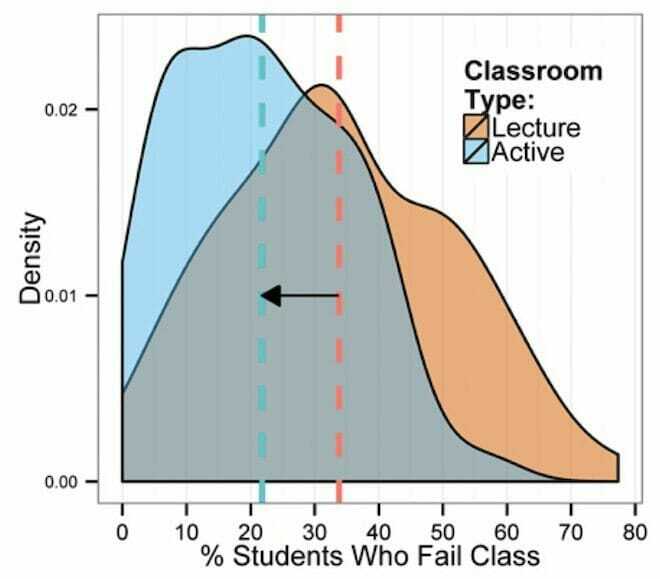 34 percent of students fail a class when it is taught mainly via lecture, compared to a 22 percent fail rate when taught through active discussion and activity, according to a new study from the Proceedings of the National Academy of Sciences. In the students they studied, those statistics mean that 3500 students would have passed their classes if they had been taught with active learning. The authors stated that if this were a medical study, the statistics found are significant enough that they would theoretically eliminate the teaching method involved. Will there be a change anytime soon? Read more at wired.com.